How can you use AI to transform your customer experience? 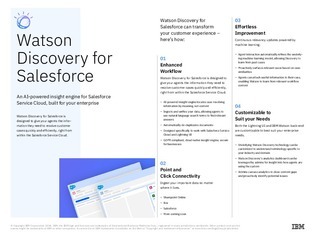 IBM Watson Discovery for Salesforce is designed to do just that by providing agents with the information they need to resolve customer cases quickly and efficiently. Read on for more information, including how you can do this within the Salesforce Service Cloud.